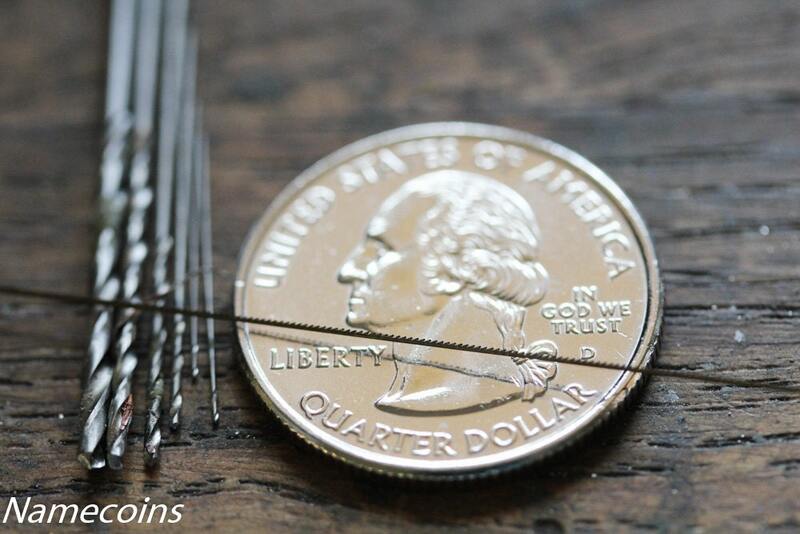 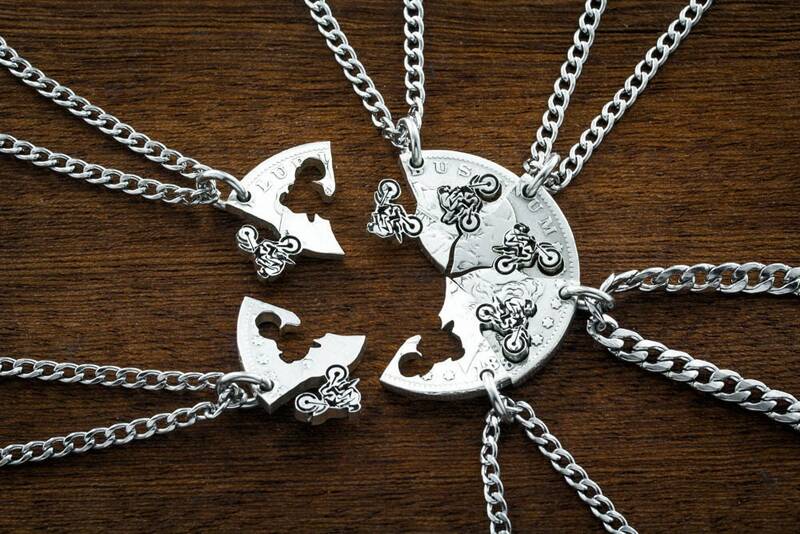 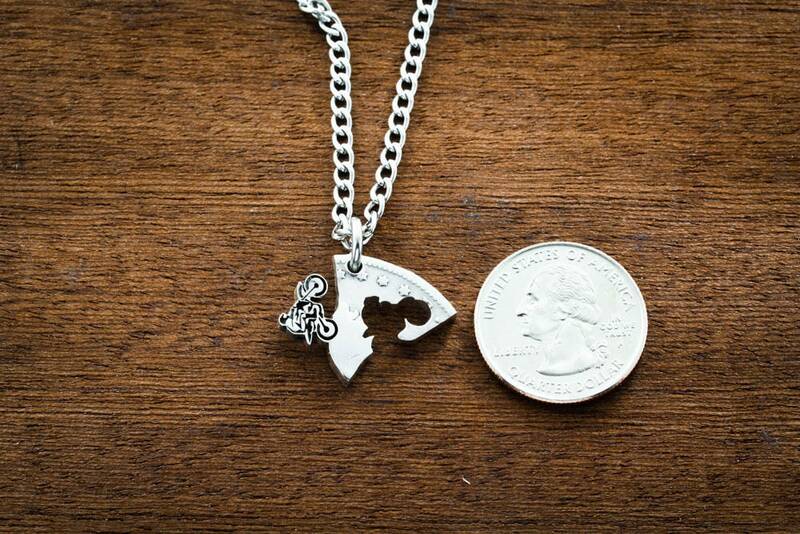 This is one coin that has been cut into 6 different necklaces! 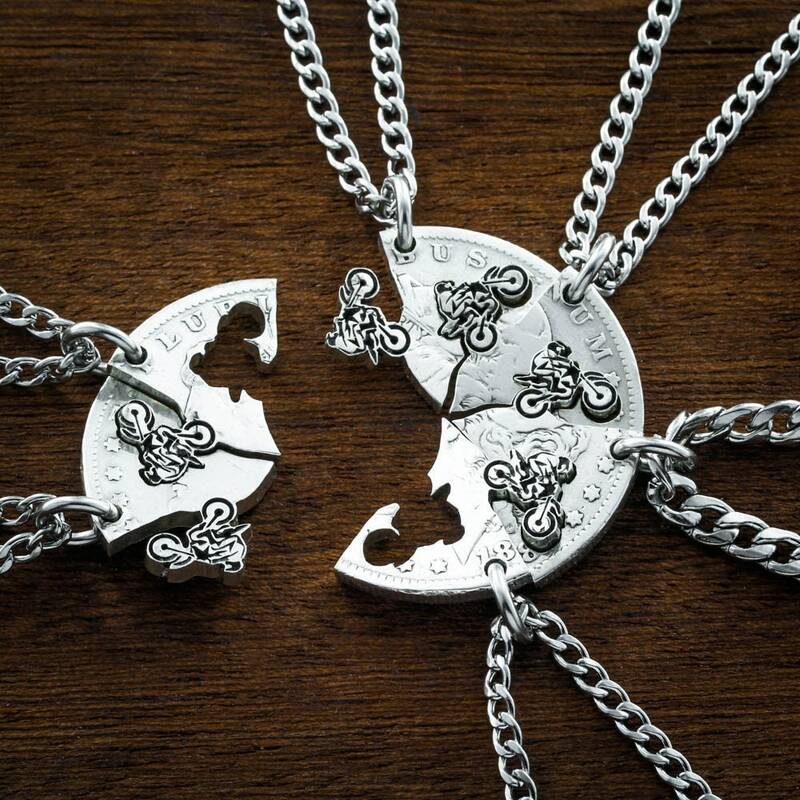 They are hand cut so they fit together like a puzzle, and the dirtbike is engraved deeply on top. 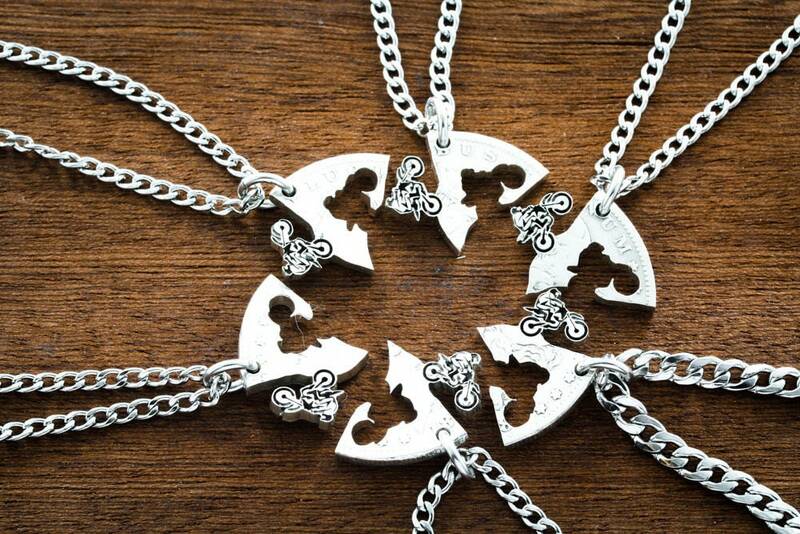 We make our Interlocking designs because we wanted to create something that unites people. 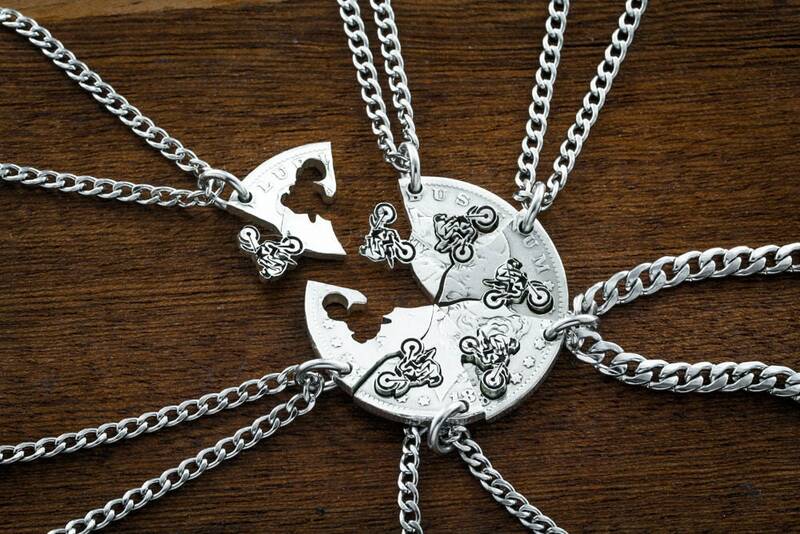 Either friends or family. 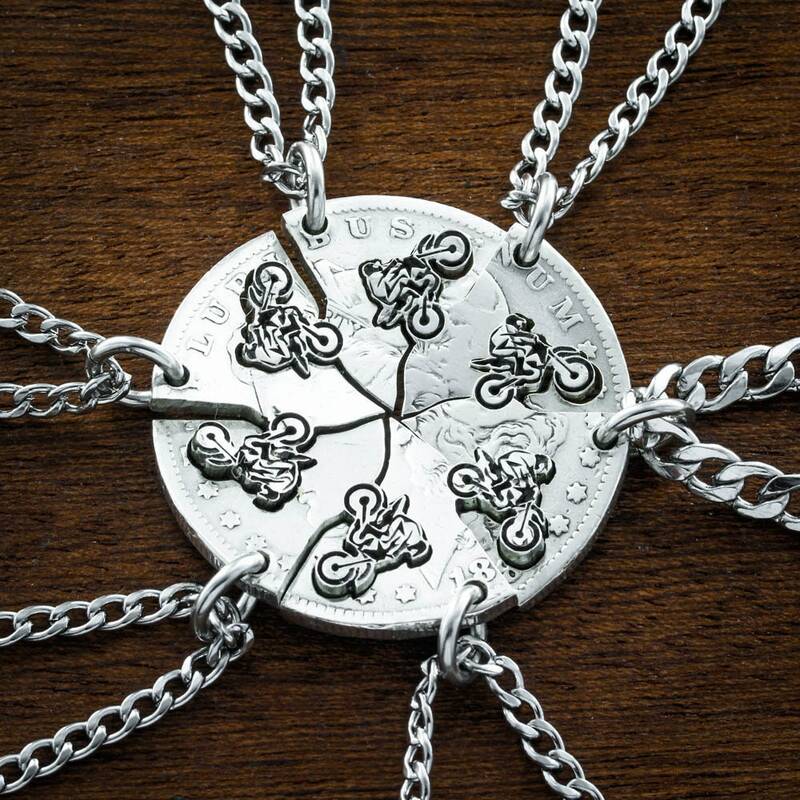 You give part to your family or friends and every time they look at it, they think of each other and the pieces that fit just right.